It's March, Daylight Savings Time began this past weekend, and Spring is about two weeks away. Here in New England, it's been a LONG winter. People are ready to see grass again, begin planning for spring and summer gardens, and get outside in air that doesn't hurt their face. Coaching with Beachbody. I never would have thought I would love coaching as much as I do. I feel like I am making a real difference in people's lives. There is mutual support and accountability. I love sharing my experience with others and watching them make incredible progress. 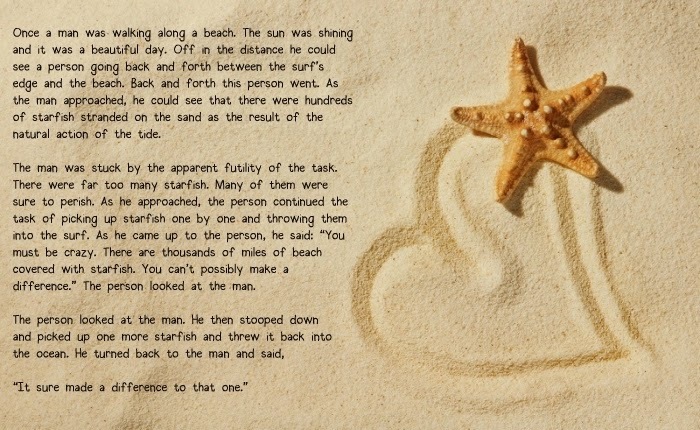 It's the Starfish story in action...making a difference, one starfish at a time. 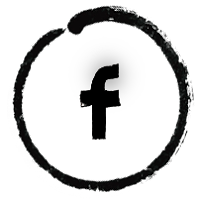 Want to join me as a participant or as a coach yourself? 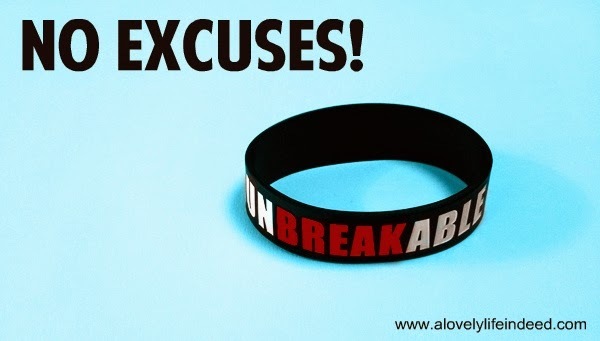 Message me at krod0519@gmail.com for more information or join one of my free accountability challenges here. Right now, there are two. I have a water challenge and a 5k/10k accountability group, as well as the Shakeology-based challenge packs. Make a difference in your own life, or in someone else's. 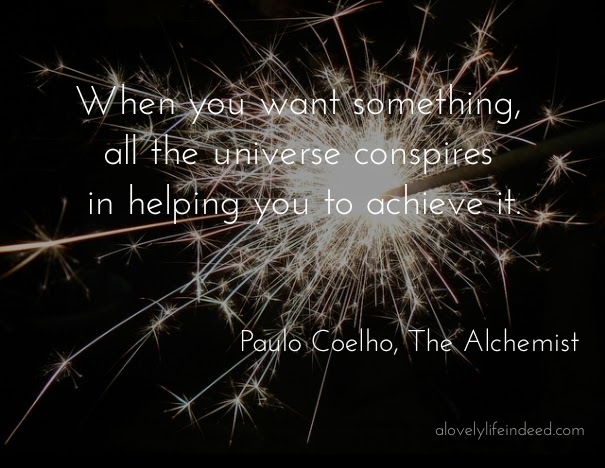 The Alchemist by Paulo Coelho This has been on my list for a while now and it does not disappoint. Water. I am participating in my own water challenge group and trying to get in all of my ounces. Shakeology. I love my morning shake. I have developed some great recipes and I feel great. It's my own version of spring cleaning. French Pressed coffee. Thanks to Steph at Life According to Steph and a lingering what-if in my own head, I finally gave in and bought this Bodum French Press coffee maker. I'm hoping that it's fabulous and it's something I can bring to Spain. In the meantime, thanks to Epicurious (and some tips from Steph) I can make the perfect cup. Dexter. I finally made it past season four and have about a season and a half left. It's dark, it's twisted, and I love it. Scandal. I think they jumped the shark a bit with this season's opener, but I will stick it out for the rest of this season. Food Network. Like most, I have my favorites. 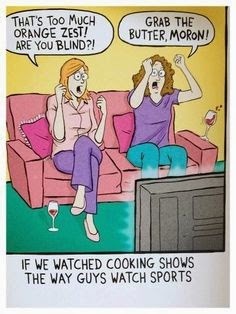 Some people watch sports or the news or reality television; I watch cooking shows, like The Barefoot Contessa, Chopped, and The Kitchen. The first pedicure of spring and a new pair of flip flops. My first in-person yoga class. I cannot believe I waited so long to get a french press. I love it! So glad you got one too. Love the home, garden and food shows, and trying to drink more water too! I liked The Alchemist. I know people have strong feelings about it either way but I tended to agree with a lot if his advice/insights throughout. I also enjoyed your cartoon. 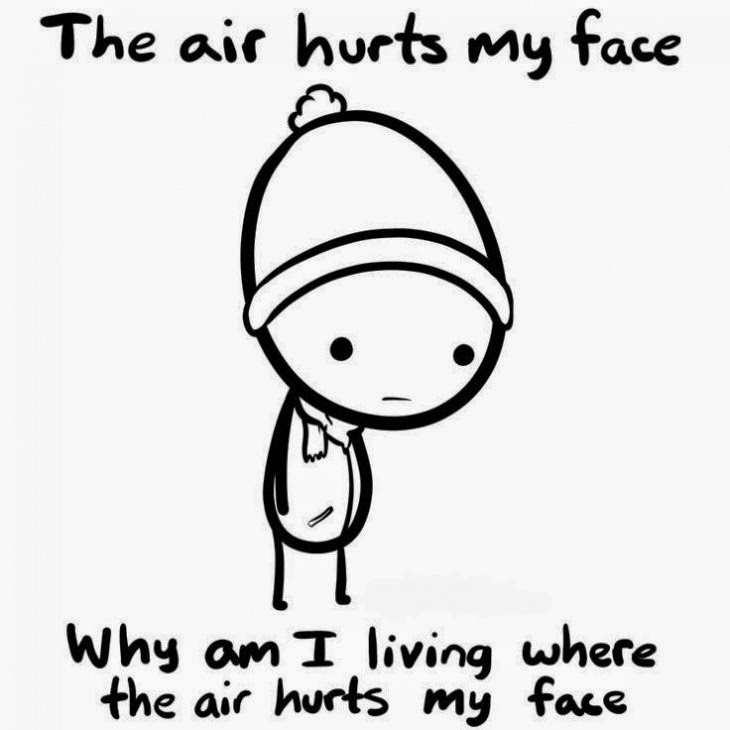 I ask myself every winter why I am living someplace where the air hurts my face?!? I always enjoy reading your post. They are just so calming. Awesome that you work for Beachbody. I am glad to hear that coaching is working for you Kelly. :D I've recently seen a few Scandal episodes and decided I need to binge watch it one day. Oh my goodness, this post spoke right to my heart! 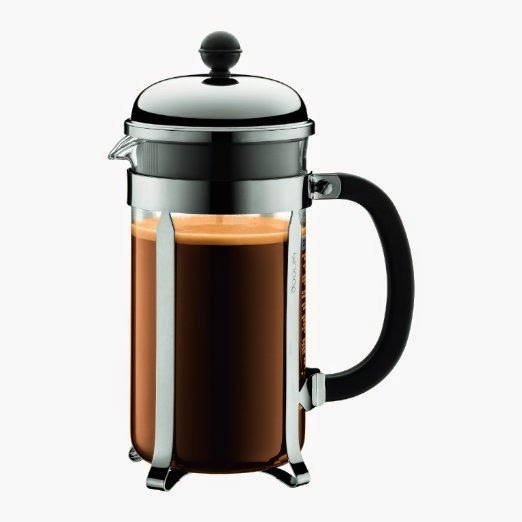 I am itching to get a French Press too...I love hearing about your likes, dislikes, your days, etc. 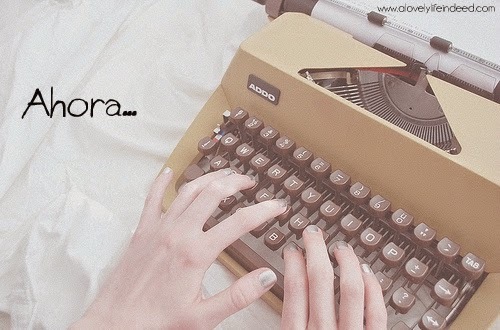 I always learn much from you! Thanks much for sharing this. Oh and Dexter rocks...to bad it's over but the reruns are awesome! Thank you, Carolann. I bought a coffee grinder too, so I will be able to make my own coarse grind coffee at home. I'll let you know. :-) I never saw Dexter on Showtime, but the seasons on Netflix are a treat. Have a great day! I just love it, Jazmine. It's such a wonderful feeling. Scandal is a treat...although, I think they jumped the shark a bit this season. We'll see. Thank you, Peggy. I am loving the journey. Happy Spring to you! Thank you so much. I am loving the Beachbody journey. All good things. :-) Have a wonderful day. I can't wait to try it out. I bought a coffee grinder too, so I will try it out this weekend. :-) Thanks again! It's cute, right? But so true. Thanks for stopping by! Agreed. I get so many great ideas. :-) Have a great day! I do too. I get so many great ideas. And more water is always a great idea for me. I feel like I am always dehydrated. I did too, Jill. Maybe it's the dreamer in me. :-) I thought the cartoon was spot-on, especially after this winter. 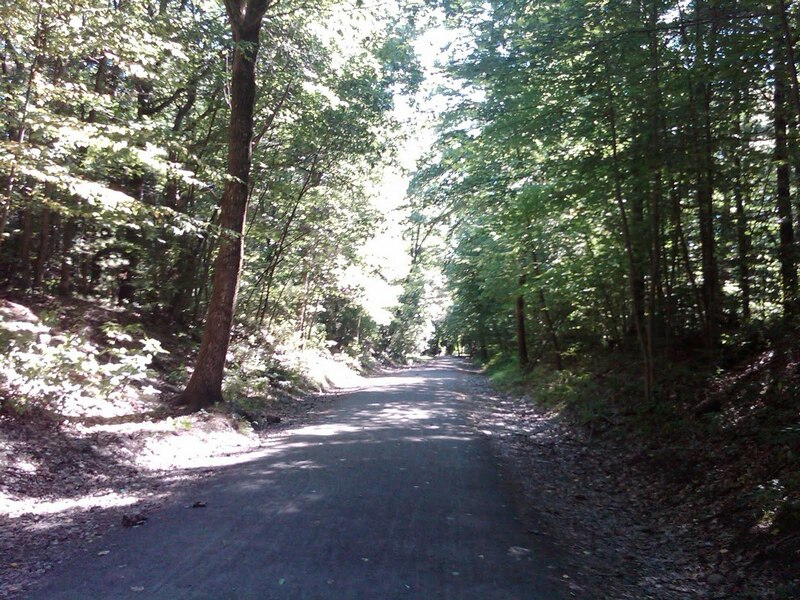 I can't wait for spring and warm sunny days. Have a good day.